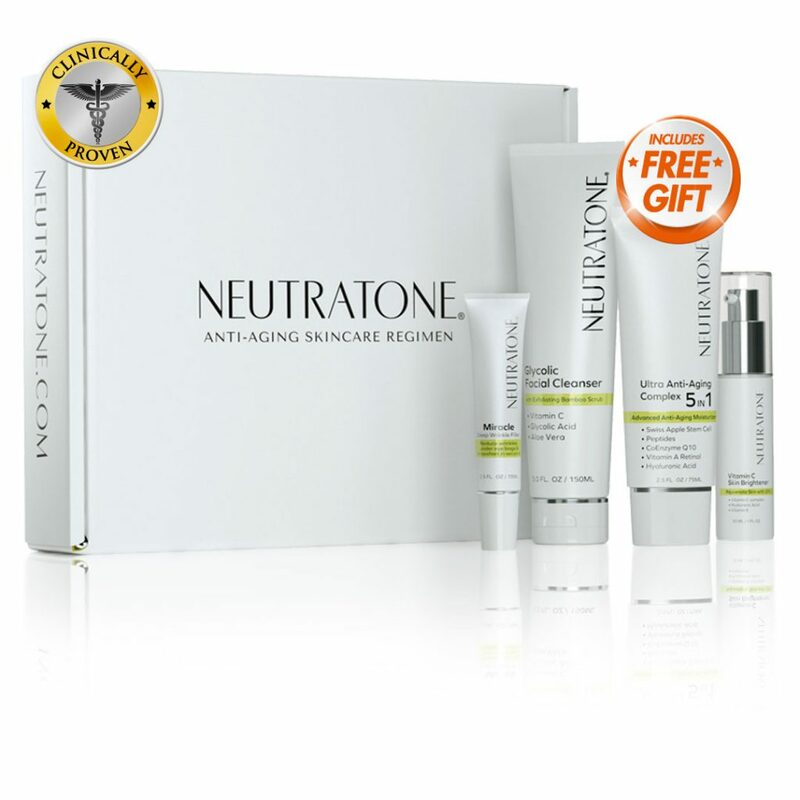 Free Ultra-Firming Eye Cream with Purchase of Introductory Skincare Kit. $62 Value. 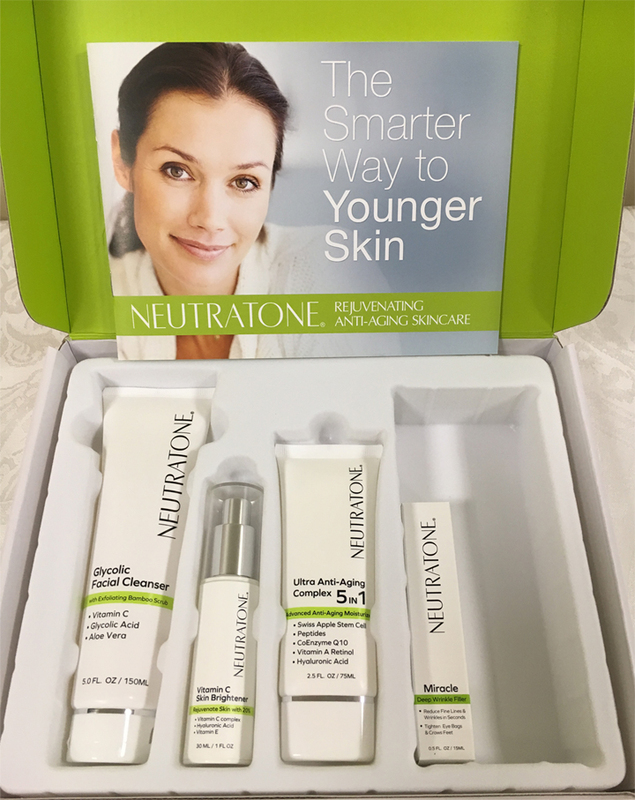 The smarter way to younger skin with the Neutratone’s 3-step Skincare Regimen. 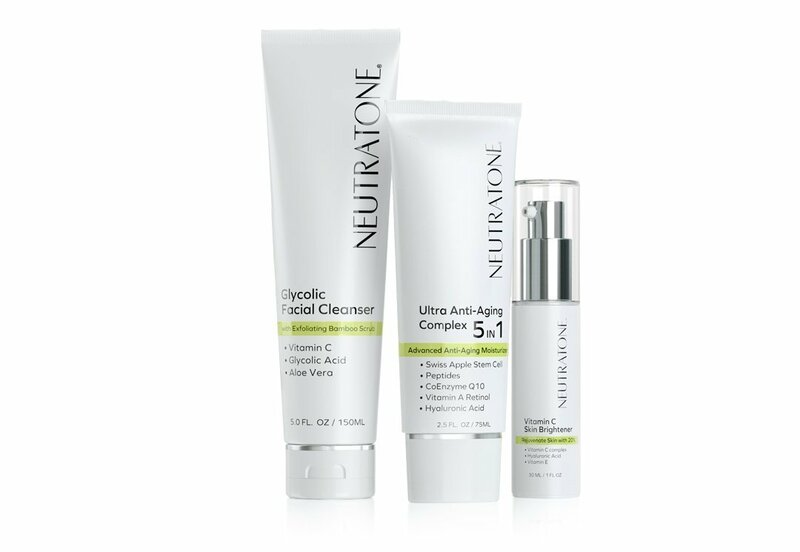 Comprised of the essential three uniquely-formulated products, this kit is your no-fail solution for restoring and maintaining healthy, radiant and youthful skin. I love how hydrated my skin feels. The vitamin C serum is incredible. All around must have kit!! I can not go without with using the 5 in 1. 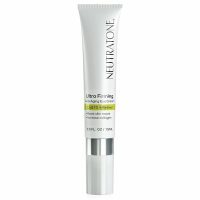 It's thick enough to really moisturize my skin but but doesn't leave my skin feeling all heavy and oily. 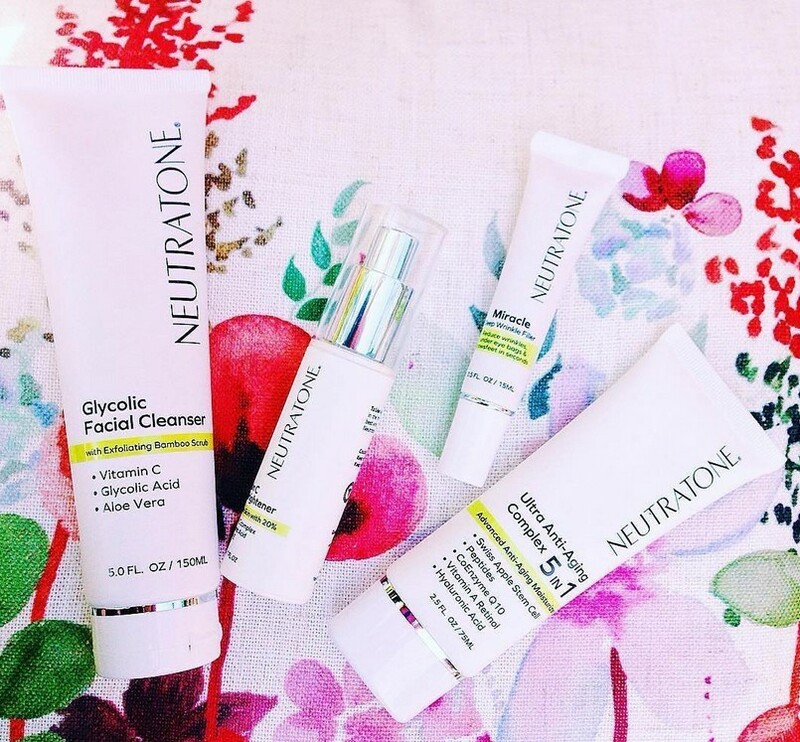 Purify the skin and promote healthy skin turnover with a Glycolic Facial Cleanser with Bamboo scrub. 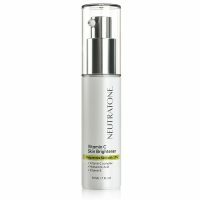 Brighten skin and fade dark/sun spots with a Vitamin C Skin Brightener. 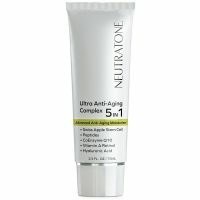 Reduce wrinkles, deeply hydrate, and restore the skin’s youthful properties with Neutratone's Ultra Anti-Aging Complex 5-in-1. 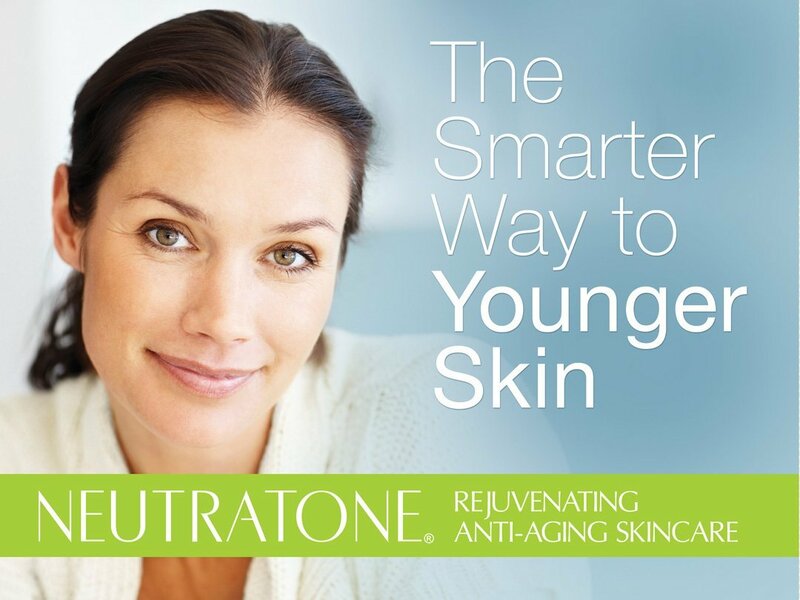 Reclaim youthful, glowing skin in three simple steps with the Neutratone's Skincare Regimen. 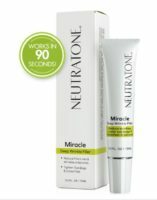 Carefully compiled to provide you with the simplest, comprehensive, and most effective skincare routine possible, this kit delivers three products for your total approach to skincare. 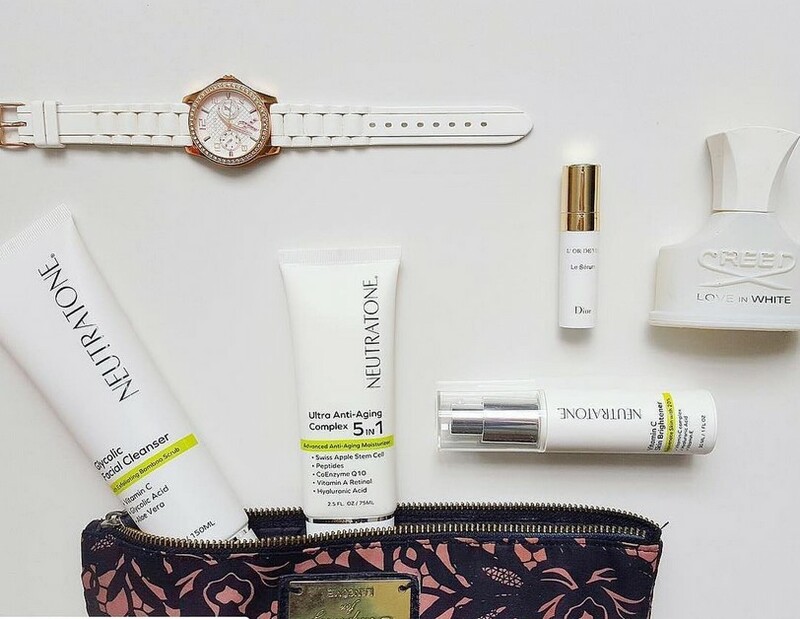 Regular use of these powerful products will provide your skin with the best age-defying and skin-regenerating ingredients available in the most effective formulations. 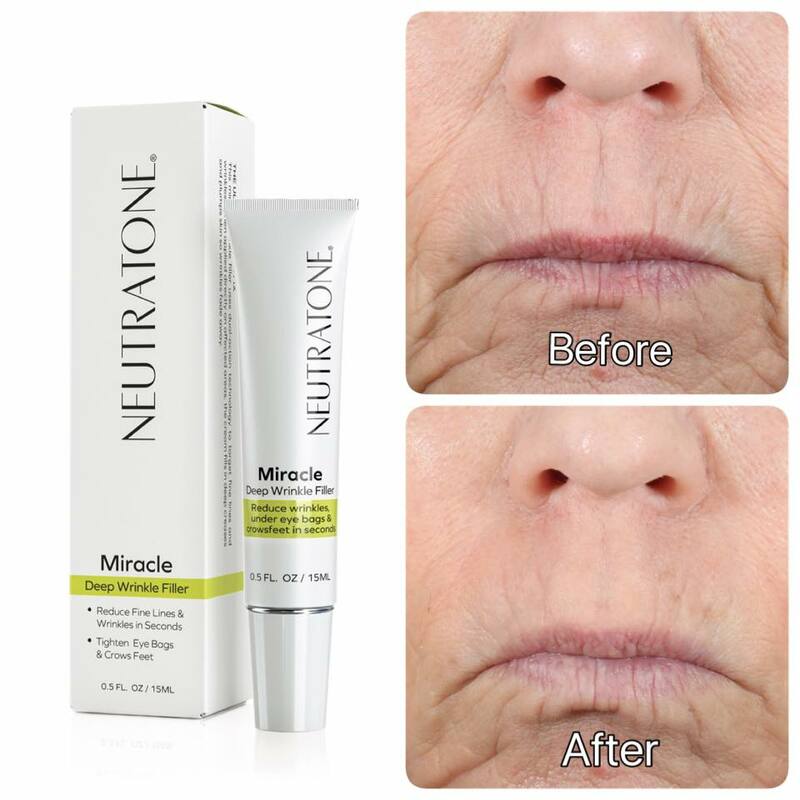 Watch wrinkles and fine lines diminish and dark spots fade as your skin becomes brighter, smoother, and softer. 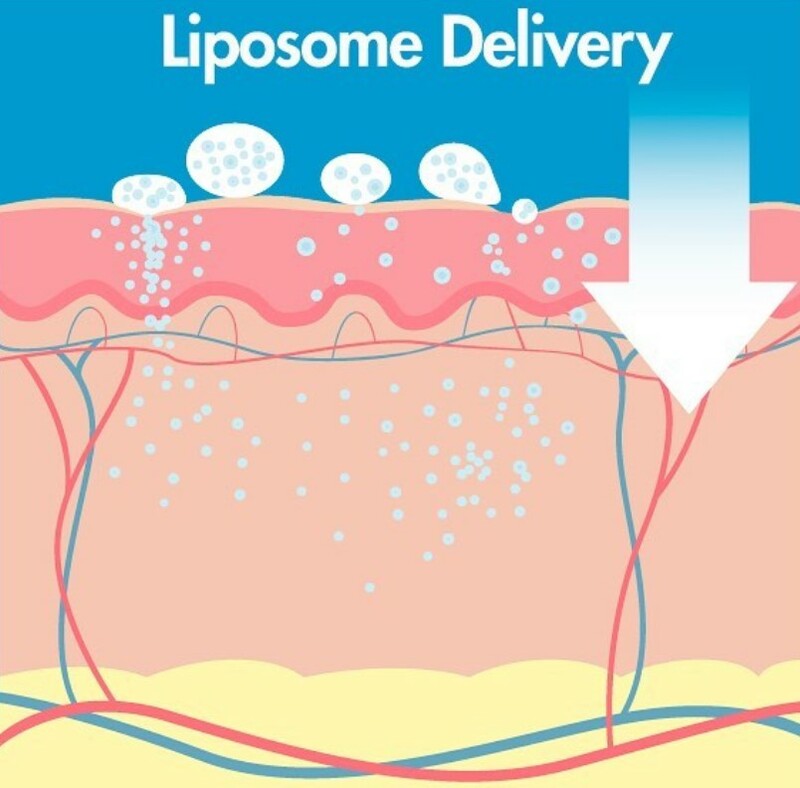 You’ll be left with radiant, healthy, younger-looking skin. Use as directed, twice daily. 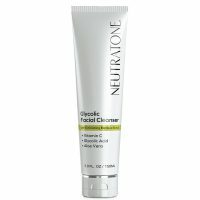 Cleanse face and neck with Glycolic Facial Cleanser with Bamboo Scrub. Pat dry. 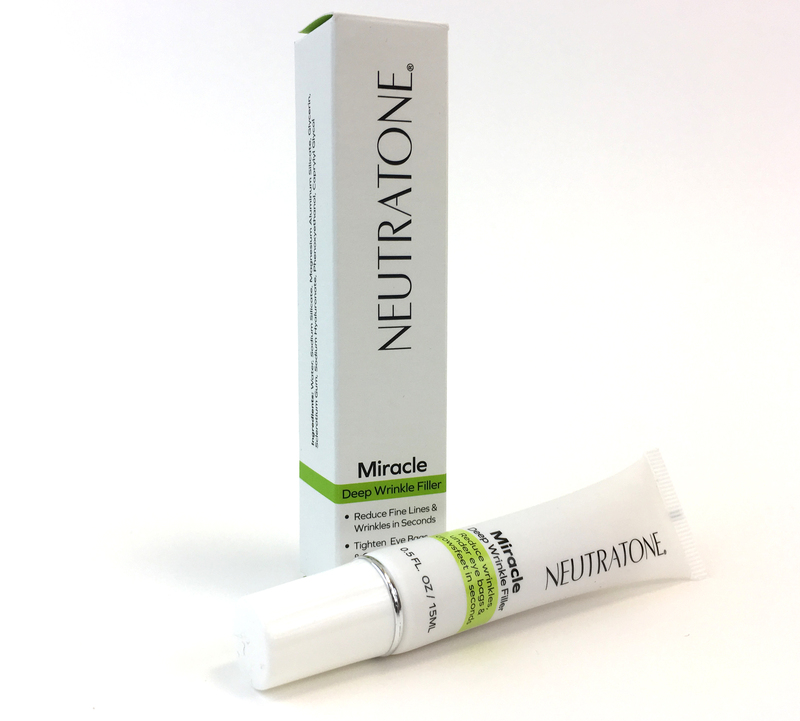 Apply Neutratone Vitamin C Skin Brightener. Allow to dry 10-15 seconds. 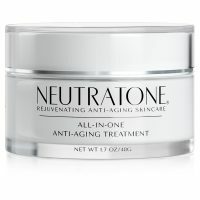 Liberally apply Neutratone’s Ultra Anti-Aging Complex 5-in-1 to face, neck and chest. 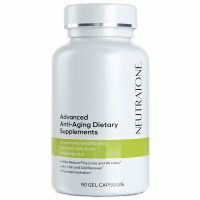 Take Neutratone's Advanced Anti-Aging Dietary Supplements three times daily: morning, afternoon, and evening for maximum results. Water, Sodium C14-16 Olefin Sulfonate, Sodium Cocoamphoacetate, Cocamidopropyl Hydroxysultaine, Acrylates Crosspolymer-4, Methyl Gluceth-20, Glycolic Acid, Bambusa Arundinacea Stem Extract, Propanediol, Arctostaphphylos Uva Ursi Leaf Extract, Glycerin, Glyceryl Caprylate, Glyceryl Undecylenate, Glycyrrhiza Glabra (Licorice) Root Extract, Magnesium Ascorbyl Phosphate, Citrus Aurantium Dulcis (Orange) Peel Oil, Citrus Grandis (Grapefruit) Peel Oil, Sodium Hydroxide, DMDM Hydantoin, Tetrasodium EDTA. Water, Helianthus Annuus (Sunflower) Seed Oil, Glyceryl Stearate SE, Cetearyl Alcohol, Ceteareth-20, Glycerin, Aluminum Starch Octenylsuccinate, Simmondsia Chinensis (Jojoba) Seed Oil, Squalane, Sodium PCA, Polyacrylamide, Butyrospermum Parkii (Shea) Butter, Palmitoyl Oligopeptide, Palmitoyl Tetrapeptide-7, Sodium Hyaluronate, Tocopheryl Acetate, Glycolipids, Glycine Soja (Soybean) Oil, Malus Domestica Fruit Cell Culture Extract, Cyclomethicone, Ethylhexyl Cocoate, Dimethiconol, Phenyl Trimethicone, Dimethicone, Lecithin, Laureth-7, Aloe Barbadensis Leaf Juice, Punica Granatum Extract, Cyclopentasiloxane, Hydrolyzed Silk, Phospholipids, Retinyl Palmitate, Ascorbyl Palmitate, Ubiquinone, Retinol, Caprylyl Glycol, C13-14 Isoparaffin, Beta Glucan, Allantoin, Polysilicone-11, Decyl Glucoside, Cetyl Esters, Butylene Glycol, Cetyl Alcohol, Polysorbate 20, Hydrolyzed Vegetable Protein, Maltodextrin, Panthenol, Triethanolamine, Xanthan Gum, Carbomer, Phenoxyethanol. 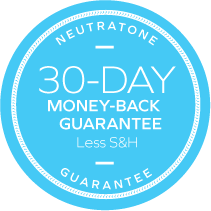 Every order is backed by a 30-day money back guarantee.